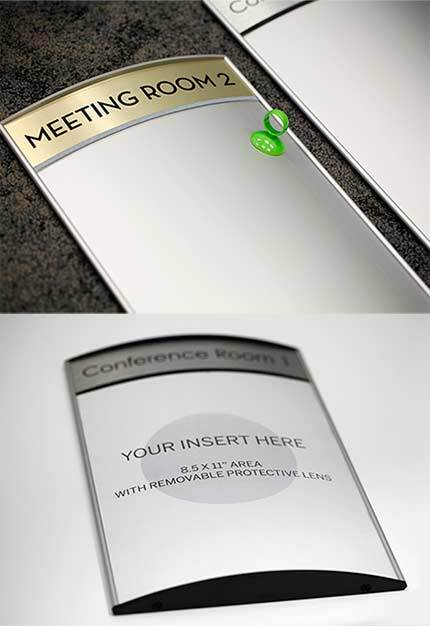 Our curved-face custom conference room sign has a customizable header plate - at no additional charge. 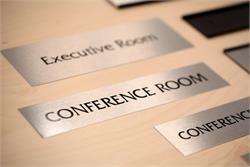 Standard sign reads "Conference Room", but personalize this top plate with any text you desire: Room Numbers, Room Names, Employee Names, Banquet Rooms, Meeting Rooms and so on. 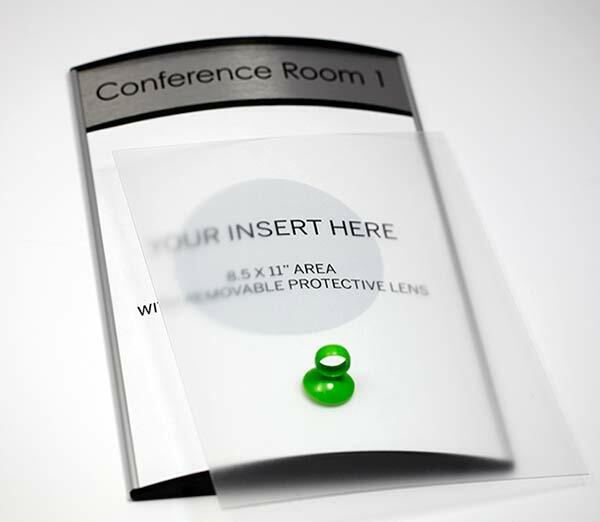 The bottom portion of this customizable room sign has a clear removable lens that secures a full sheet of letter-sized paper - with your custom message or room schedule. This changeable lens allows one to insert any personal message or conference room schedule into the main sign area. 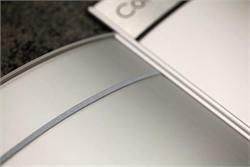 Satin silver architectural grade metal frame. 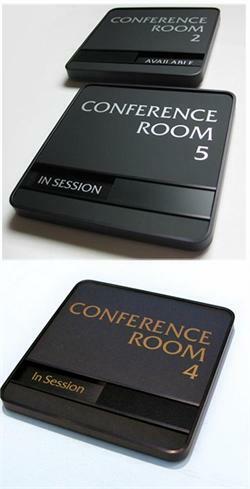 Approximate sign size is 8.75" wide x 13.5" tall. 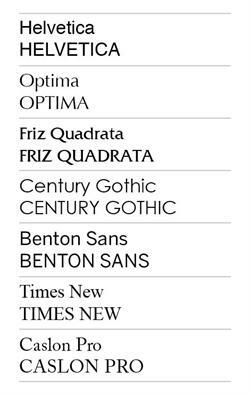 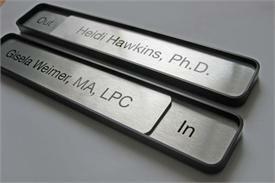 Personalize your sign with custom text here - Indicate line breaks with slashes (/) and type "BLANK" if not text. 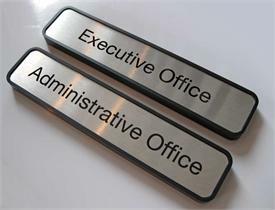 Brushed metal sign inserts for existing nameplates for office, waiting room, lobby and more. 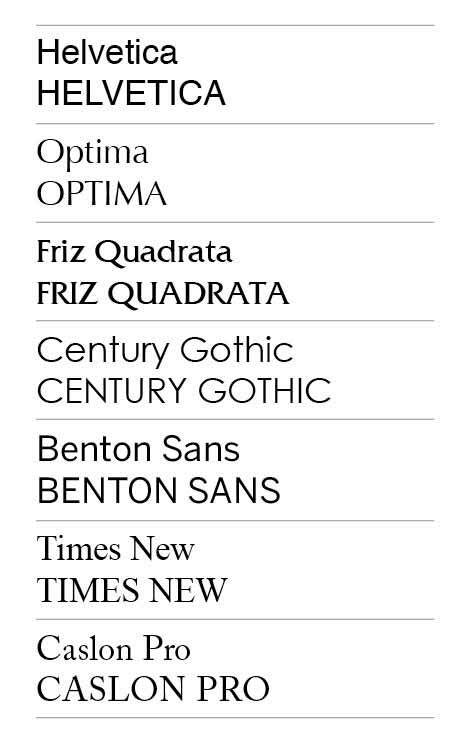 Sizes and color choices available. 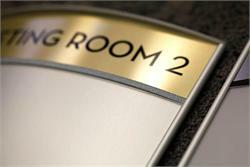 Personalize these signs with text or graphics of your choice.